Quite a productive weekend. 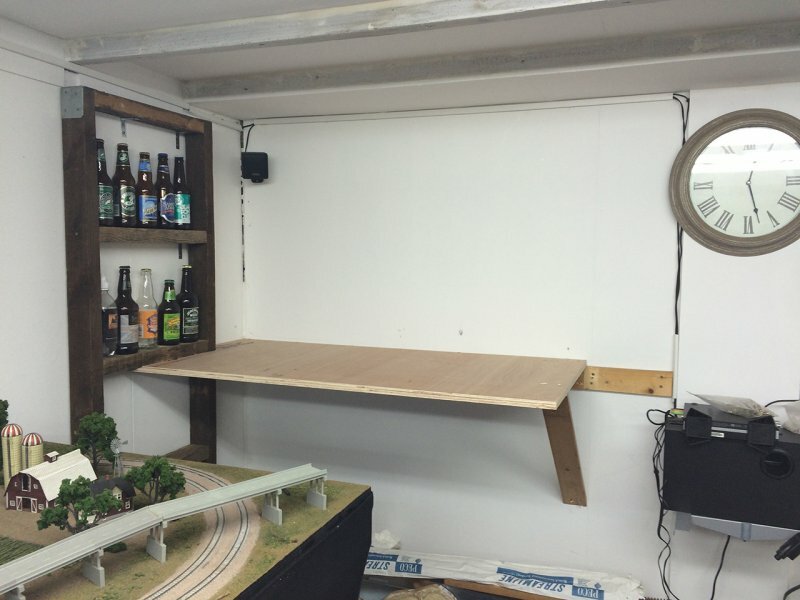 I have added new track across a few of the board joins to make it more reliable – still a few to do, but will result in a lot fewer problems as there will be no large gaps in the track anymore. I also added the first tunnel supports, ready for the framework. I’ll be using the tried & trusted method of cardboard strips and plaster cloth to cover the tunnel. Also added was the first of the boards for the new classification yard and loco facility. 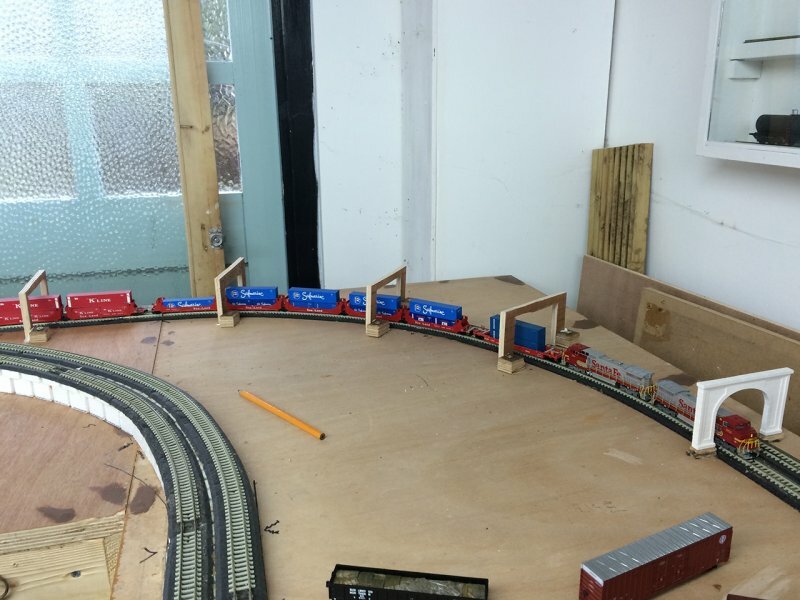 Still a short board to add, then I will be starting work on the staging yard boards – these I will be working on off the layout due to their inaccessibility once in place. Finally…one more video – this time of a ‘proper’ train doing a test run over the layout to test the new track inserts.